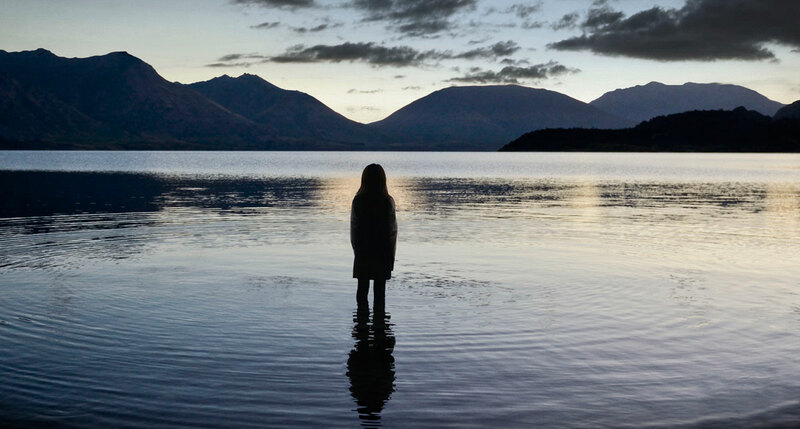 The BBC have released the first trailer of the upcoming drama, Top Of The Lake, directed by Oscar-winner Jane Campion (The Piano, Portrait Of A Lady) and rising Australian director Garth Davis, will feature an esteemed ensemble of award-winning talent. The cast includes SAG winner and three time Emmy-nominated actress Elisabeth Moss (Mad Men, On The Road), Holly Hunter, Best Actress Oscar winner for her performance in Campion's The Piano, BAFTA-nominee Peter Mullan (War Horse, Trainspotting) and AFI Award-winning actor David Wenham (The Lord Of The Rings, Australia). Set in the remote mountains of New Zealand, the story follows the disappearance of a five months-pregnant 12-year-old named Tui who was last seen standing chest deep in a frozen lake. In this classic mythic struggle, investigating detective, Robin Griffin (Moss), must lose herself in order to find the missing girl. During the investigation, she collides with Matt Mitcham (Mullan), Tui’s father, a local drug lord, and G.J (Hunter), a guru at a local women’s camp. Robin will find this the case that tests her limits and sends her on a journey of self-discovery. Deirdre Brennan, Director of TV for BBC Worldwide Australia, says: ‘Top of the Lake is a unique creative collaboration, a truly international project that showcases a remarkable production team, cast and location. It is an honour to play a part in bringing this landmark drama series exclusively to UKTV audiences in Australia and New Zealand."